Visit us for every home game at the Gary Ashton Tailgate and meet Tagger The Bear! The #1 Real Estate Team in Nashville and #1 Team with RE/MAX in the USA for 2018 so far! 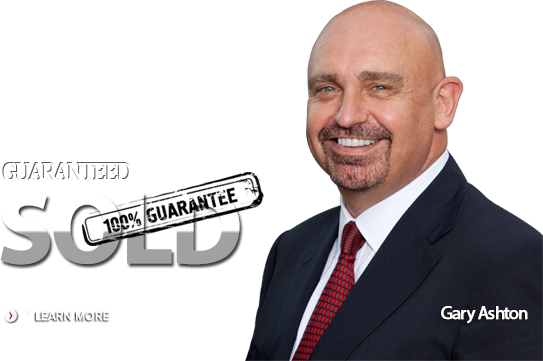 Gary Ashton and his team have been helping home buyers in the Nashville real estate market for more than 18 years now. In addition to having 80 professional Nashville real estate agents on the team, Gary has assembled some of the best associates in the industry to help make your next real estate transaction a breeze. These include the professionals at Ameris Bank, who can answer all of your mortgage questions, and the closing attorneys of Tennessee Title Services, who can guide you through the entire closing process. The elite Nashville agents at RE/MAX Advantage will help you find your next home in no time! 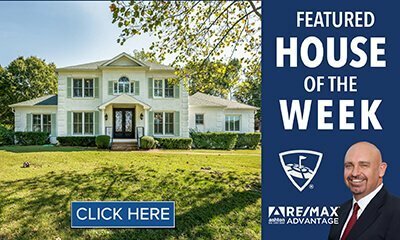 The Ashton Real Estate Group of RE/MAX Advantage has become one of the most successful and elite realty teams in the Nashville and Middle Tennessee market. In fact, in 2007, they were named the #8 team in Tennessee for RE/MAX, and the #1 team for RE/MAX Elite in Nashville. 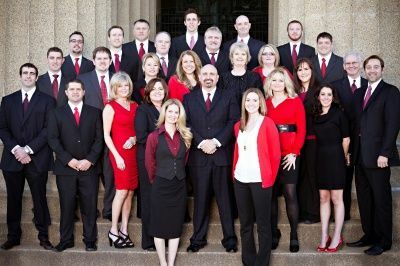 In 2012 they were the #1 RE/MAX team in the state rankings, retaining the #1 spot in Nashville itself. 2014 was another great year for the team, as they were announced as the #3 RE/MAX team in the USA!!! They are still #1 in Nashville and #1 in the state of Tennessee. 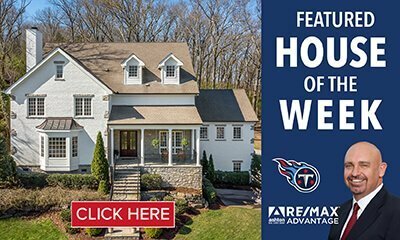 The team is also the Official Real Estate Team of the Tennessee Titans! After leaving RE/MAX Elite in 2015 and becoming part of RE/MAX Advantage, the team again finished #1 in Tennessee and #1 in Nashville, as well as #4 in the world!!! In 2017, halfway through the year, the team was named the #2 RE/MAX team in the USA!!!! They maintained this ranking all the way through December 2017. In February 2018, RE/MAX HQ announced that the team was now the #1 RE/MAX team in Tennessee, #2 in the USA, and #2 in the world! With a sales volume of around $334 million, the team had an increase of over $100 million in sales from 2016. In early July 2018, we found out that The Ashton Real Estate Group is now the #1 team in the USA!!! 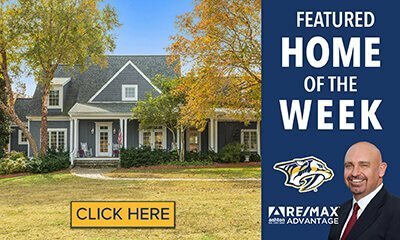 Get all of your questions about buying or selling Nashville TN homes answered by contacting The Ashton Real Estate Group of RE/MAX Advantage. Just call (800) 668-6306 or (615) 301-1650! This is a quick video showing how you can create your own home search. To get a feel for commute times and distance take a look at our Drive Time map, which shows the drive times in 15-minute zones from the Capitol building downtown. This is a great way to get a feel for the distance of different communities and towns from the center of Nashville. All images copyright REW and Gary Ashton 2005-2018. All rights reserved. Nashville has recently been recognized as one of the most desirable places to retire in the United States, and with great prices and low mortgage rates the appeal is even stronger.... Read more here! Thinking about purchasing your first home or moving up to a bigger house? Why do it on your own? The Ashton Real Estate Group real estate agents are ready and waiting to help you find the perfect property in Nashville, Tennessee. Properly marketing a home in today's housing market takes skill, experience, and a lot of creativity. The Ashton Real Estate Group has the resources and market knowledge to sell your house or condo for top dollar! Search all the homes listed in the Nashville TN area with access to up to 20 additional pictures of the home, and Map View! One of the major benefits of this site is that you can effectively search all the homes listed for sale any time of the day. The site is basically a 24-hour virtual open house. You can also create your own home search profile and then receive daily updates of new listings and any price reductions that match your search criteria. By creating your own home search you will have access to the database of Nashville homes listed by licensed agents in the Middle Tennessee Regional MLS (Realtracs) and be able to keep an eye on how the real estate market is performing in Nashville and the Greater Nashville area. If you would like to receive information about pending and sold listings as part of your research on buying a Nashville home and the real estate market in Tennessee, click HERE for more information. Knowledge of how the market is performing here in Nashville as opposed to other parts of the country is vital to making an informed decision about buying a home in Nashville. As the real estate market improves, having an up-to-date market analysis can help you make informed decisions when it comes time to make an offer. The data on this site comes from the Realtrac's MLS Internet Data Exchange (IDX) program and includes 99.5% of all active listings in the Middle Tennessee Regional Multiple Listing Service. It is updated daily to make sure you have the most accurate and up-to-date results. More HERE. Even in 2015, Nashville Tennessee is still a stable real estate market which is bucking the national trend and more recently has become a seller's market. The Nashville real estate values are slowly growing at around 0-4% a year and in certain new subdivisions and communities, the appreciation rate is much much higher. The Nashville real estate market still shows signs of a steady demand. More HERE. For interesting federal statistics on Nashville click here. You'll be able to research statistics on population, socio-economic data and more. This data is also available for each and every listing. See the short explanation video HERE. Nashville owes its name to General Francis Nash (1742-77), a hero of the American Revolution. The city was also of primary strategic importance during the Civil War, occupying a crucial location along the Cumberland River. The 1864 Battle of Nashville occurred here — it was the climactic, last great offensive of the Confederates. Today Nashville real estate continues to live up to it's Music City nickname. Every major record label has an office in Nashville, and the nightlife is largely characterized by the abundance of live music. Buskers populate the street corners, and bars and clubs like the famous Wild Horse Saloon have weekly televised country dances. Nash-Vegas is also a popular nickname for the city to reflect the growing cosmopolitan feel of the city. Locals have been known to refer to Nashville as Cashville as a mark of respect to one of its finest country music stars Jonny Cash. Jonny Cash actually bought a lake home in Hendersonville which unfortunately burnt down. More recently, the news of the network TV series called "Nashville" was announced to be going into another season. The TV show is "commercial" for Nashville as many of the scenes feature iconic locations and vistas of the area. Live music is not exclusive to Nashville. The abundance of talent in the Middle Tennessee area means that you can find world-class musicians playing in any of the surrounding towns and communities. Places like Leipers Fork frequently have top class performers playing in the intimate venue of Puckett's. The success of Carrie Underwood on American Idol and her subsequent move to Nashville have helped raise the profile of country music and the city itself to a whole new audience previously unfamiliar with Nashville. More recently other music shows have featured Nashville residents prominently which all helps to create more awareness of Nashville as the music capital of the south. More HERE. Nashville also has well-established communities and cities that are only a short 15-, 30-, or 45-minute drive away. Click here for the Nashville Drive Time Map. East Nashville has been quietly transforming over the past 15 years from an area of urban decline to one of the most desirable areas that attract artists of all genres. The influx of creative residents has seen some amazing renovations which in turn have opened the appeal to residents who enjoy good restaurants with a creative side! Places like Family Wash provide weekly entertainment provided by local musicians in an eclectic atmosphere in an old laundry! Franklin TN real estate, to the south of Nashville, has the highest concentration of million-dollar luxury homes in the Greater Nashville area. The historic downtown area was well preserved and is largely responsible for the areas appeal to it's residents. Just a little further south is the rapidly growing communities of Thompson Station, Spring Hill, and Columbia. Mt Juliet and Lebanon to the east are now connected via a new railroad system for commuters which has helped to increase the home values over the past few years. Hendersonville TN is to the northeast of Nashville and is known as the city of the lake due to its location on Old Hickory Lake. Jonny Cash, Roy Orbison, Conway Twitty all made their homes here and helped to create the city of Hendersonville Tennessee as we know it today. The development and growth of this area is continuing with the new 400-acre shopping development called Streets of Indian Lake. Just recently Sam's Club opened its doors as a major anchor store which has added a significant financial boost to the area. The popularity of living on the lake continues today and Gallatin has the added attraction of having the only golf course community on the lake in the whole greater Nashville Tennessee area. In fact, Gallatin is home to Fairvue Plantation which is the only lakefront and golf course development in the Nashville area. 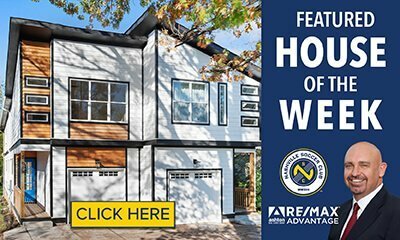 Homes here can reach well over the $3 million dollar mark and have been extremely popular with the discerning luxury home buyer who wants the lake access and golf course community. There is now a sister lakefront and golf course community at nearby Foxlands in Hendersonville. The lakefront homes that are available are selling fast even with the slight downturn in the real estate market. Lakefront homes have always been seen as a sound financial investment as waterfront homes are always in demand whether its a buyer's market or a seller's market! Mt. Juliet, to the east of Nashville, is also experiencing a huge growth in retail and residential new construction. The Providence development is proving to be a very popular location for some of the retail giants such as Best Buy utilizing the more than 800,000 sq ft of retail space devoted to shopping, dining, and entertainment. The Providence project is also featuring residential new homes built by 10 of the leading local and national builders. There are numerous city and state parks for hiking and exploring. Dog parks are very popular and are a great way of meeting people who have moved to Nashville from all over the US and the world. The arts have always been an important part of the social life in Nashville and The Frist Center is the focus for many of the events and happenings in Nashville. Eco-friendly homes in Nashville is part of the movement towards the environmentally conscious builder appealing to the 'Green" home buyer. For some excellent examples currently being built in Germantown in Nashville click HERE. Nashville was voted #1 in Kiplinger's Smart Cities survey. The personal finance magazine selected Nashville as number one in a past issue ranking 50 Smart Cities. The survey took into account livability, friendliness of the residents, economic vitality, public education, local arts, and entertainments as well as recreational facilities, health care, and numerous other factors. This award was based on the growing food scene that been building over the recent years featuring world-class restaurants such as the Catbird Seat has resulted in Nashville cuisine even been recognized in Charlotte NC as a threat to their city. The music scene has long been a source of attraction to visitors from all over the world, but good music and great food will keep anyone happy! Click here for the full article. Nashville continues to gain recognition from a number of different media sources. In other parts of the country, the real estate markets have been very volatile. The Orlando real estate market was something that at one point in time was appreciating so quickly that the state could not process the number of applications for real estate license applications. Other cities across the USA ad similar growth spikes but Nashville has been relatively steady in its recent growth. Nashville is home to the full range of property types: from single-family starter homes to million-dollar luxury homes, lake homes, estate homes, condos, and equestrian properties. As Nashville becomes an increasingly popular city to move to the number of new construction real estate sites and developments have expanded to keep up with the ever-rising demand. In a return to urban living, downtown Nashville has seen the renovation of older historic buildings and warehouses to accommodate the demand for urban lofts such as Werthan Mills and Rolling Mill Hills lofts. Rolling Mill Hills is now purely rented units. New condo developments and the projects in the Gulch such as Twelve Twelve are revitalizing the downtown residential community and bringing a new appeal to living in the city of Nashville. Downtown Nashville itself has the development at Encore Sobro located just off Broadway and very close to the Symphony Hall. Other older developments like the Viridian (sometimes spelled Veridian) are proving to be very popular as resales start to come on the market. New construction is still high in demand especially with prices starting at just under $250,000 and cheaper in some cases. Compared to other downtown communities around the United States, downtown Nashville still has very affordable products and is well below the density of cities like Chicago and New York. This leads the developers to anticipate a tremendous growth and movement towards inner city living. As the numbers grow the demand for services and restaurants etc will grow and this, in turn, will increase the demand for downtown condo living. Some of the communities in and around Nashville are developing the new concept of combining business and residential homes in the same subdivision. Westhaven in Franklin and Tollgate Village in Thompson Station are excellent examples. The concept of being able to live and work as well as socialize and play in the same community is really a throwback to the communities of the past where everyone knew everyone and the feeling of safety and security was enhanced by the sense of belonging and community spirit missing from some of the faceless developments from the sixties and seventies across America. If you are looking for upscale, gated luxury homes then Nashville has homes that constantly take advantage of the latest designs and technology to provide an environment that can truly be called luxurious. The Ashton Real Estate Group of RE/MAX Advantage are also proud members of the Luxury Real Estate.com organization More HERE. Looking for equestrian homes with rolling hills and acreage for your horses to roam freely? Leipers Fork, just south of Franklin, may be the perfect choice for you. You'll be in good company as this has become home to some of the wealthiest people in Nashville and has attracted some of the Hollywood "royalty" too! Beechwood Plantation is an equestrian community with homes in the $2M range and lots from around $450. The developers did go into foreclosure so the development is taking longer to sell out but it's still a very good consideration. Gallatin is the latest city to try and create its own equestrian community, The Paddock (as it was to be called), was selling lots and is in the early development stage but was to provide stable and riding facilities for the homeowners. Homes were projected to be in the low $400,000 to $600,000 range. The economic slowdown of 2009 saw the development put on hold but signs are it will start again soon. As of 2012 the subdivision still hasn't been resurrected but sooner or later work will begin again. Lots were auctioned off in May 2012 which will hopefully allow homes to be built soon. There is a return to the older self-contained communities that are so popular throughout America and mirror the extremely successful city of Celebration in Orlando Florida. Here the architectural styles of the past and matched with the modern and state of the art features that provide a perfect blend of the old and new. The concept of community living in safety and having well-established groups within the community means that it's very easy to develop new friends and network if you are a new arrival to Nashville Tennessee. Commercial Real Estate in Nashville is in part responsible for the growth in popularity of Nashville in the past 3 years. Once the major corporations became aware of the standard of living enjoyed by the residents of Nashville, and relatively low real estate values, the appeal was transformed into corporate relocations like Nissan, LP, Mars etc. The positive business environment has had the trickle-down effect of producing more jobs which in turn leads to increased demand for new housing and subdivision developments. The new residents were attracted to move to Nashville because of the expanding job market then spend their money as consumers within the Nashville market. This, in turn, breeds competition which then helps to stimulate the demand for more commercial real estate. Nashville Tennessee real estate is still proving to be very attractive to out of state buyers. With the relocation of Nissan HQ to the Nashville area in 2007, the real estate market was given another boost and raised the national awareness of this comparatively undervalued real estate market. It has also just been announced that Nashville is one of the safest real estate markets. The ranking, released by PMI Mortgage Insurance Co. says Nashville is the fourth least risky of the nation's 50 largest housing markets. Memphis is the second least risky market, followed by Pittsburgh. The city of Nashville is populated by about 569,805 residents, and the entire 10-county Nashville Economic Market is about 1,541,659 people strong. Nashville is lucky to have two major teams in the world of professional sports. The Tennessee Titans are recognized as one of the best teams in the NFL and their potential continues to grow with every season. More about the Titans HERE. Update: The Nashville Predators Ice Hockey team is fast becoming one of the most popular ice hockey teams in the country. **NashvillesMLS.com is not a multiple listing service (MLS) and does not provide direct access to the MLS. The data on this site comes from the RealTrac's MLS Internet Data Exchange (IDX) program and includes 99.5% of all active listings in the Middle Tennessee Regional Multiple Listing Service. Note: NashvillesMLS.com is an independently-owned website.